CodeBreaker is based on a century old game played using paper and pencil. The goal is simple – guess the 4 digit number. You have a maximum of ten attempts. 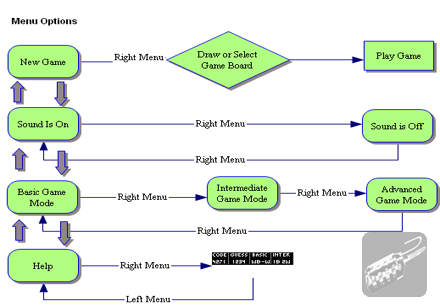 The game has 3 levels – Basic, Intermediate & Advanced, and options to control the voice prompts. All of these are implemented using the menu on the display. The application can be completely silent, but still give you all the information to play. Basic Level – 4 digits number with no repeating digits. Smartpen tells you the position that is correct/misplaced or missing. Intermediate – same as Basic, but the smartpen only tells you how many digits are correct/misplaced. 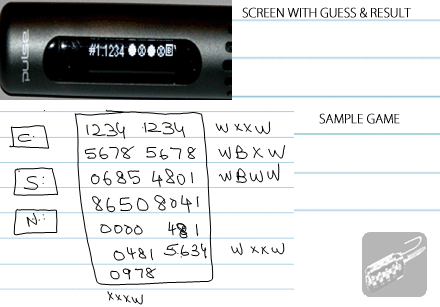 Advanced – 4 digit number can have repeating digits, and the smartpen will only tell you number of correct/misplaced. 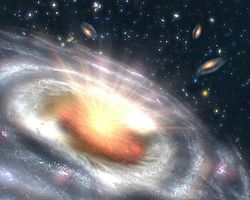 (c) 2010 Quasar Solutions LLC.